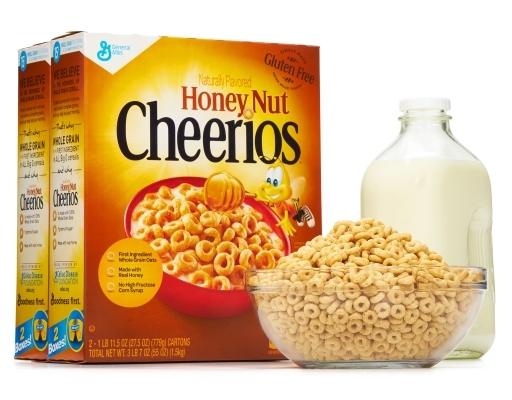 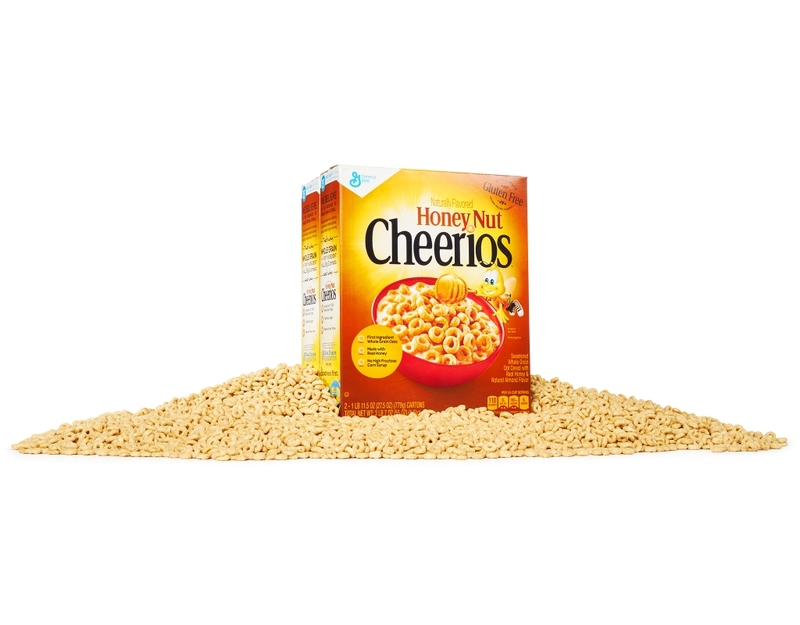 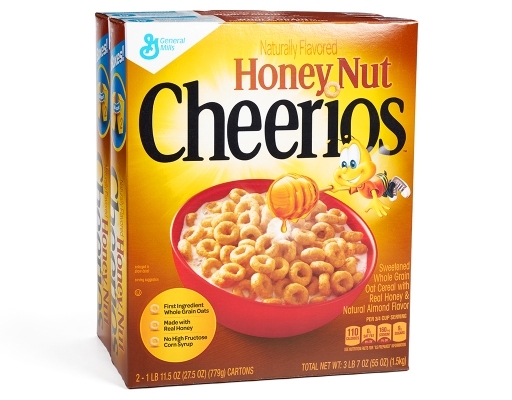 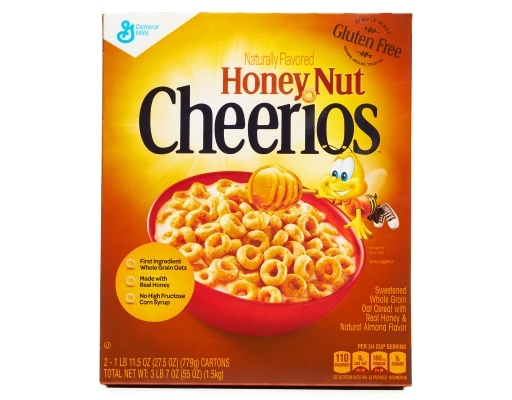 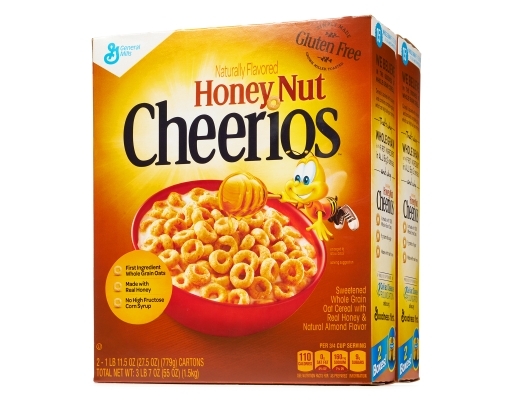 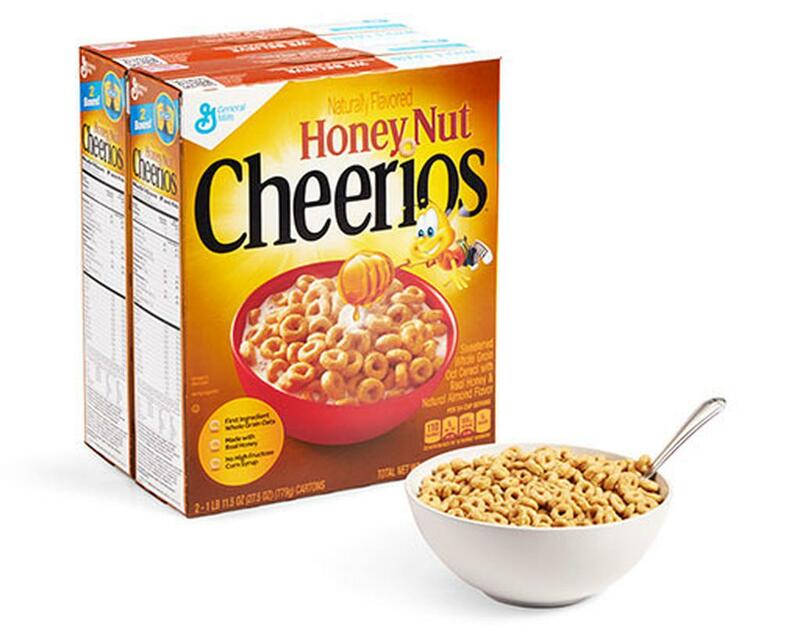 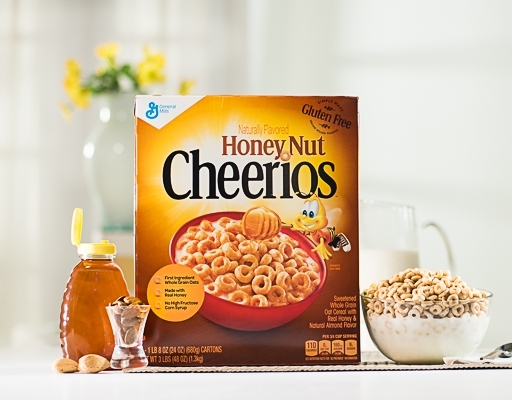 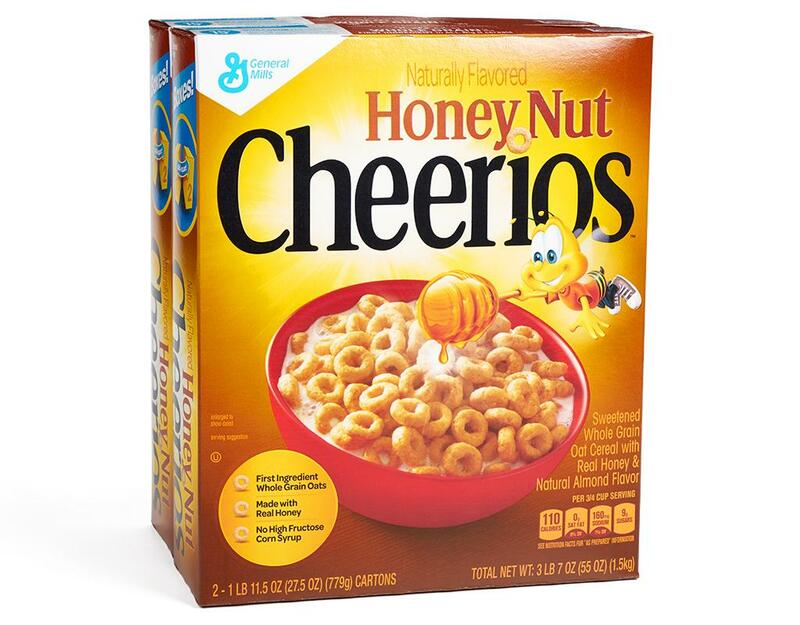 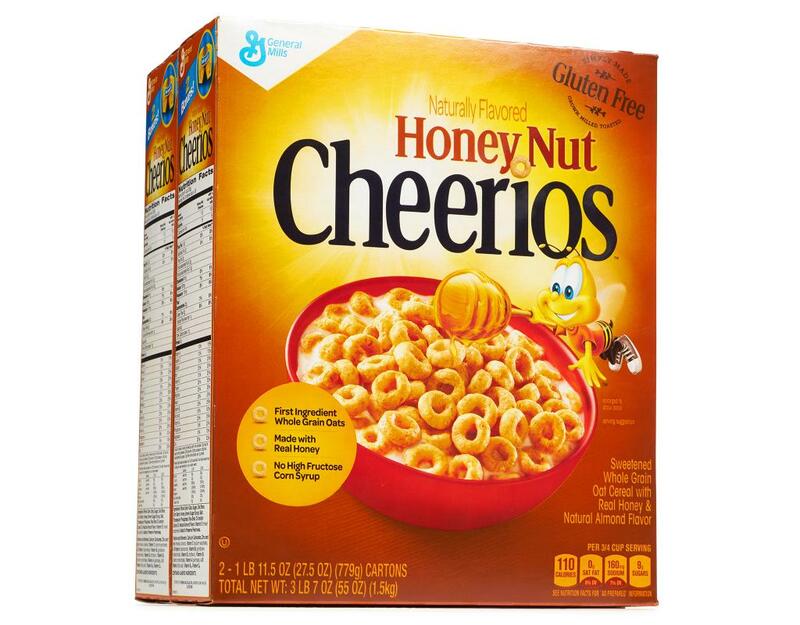 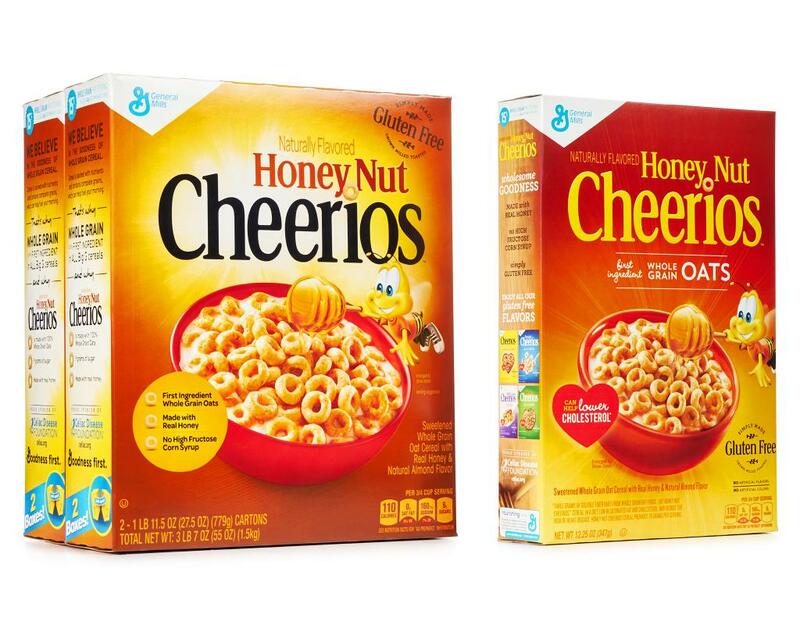 You already know that Honey Nut Cheerios has the irresistible taste of golden honey, making it a family favorite. 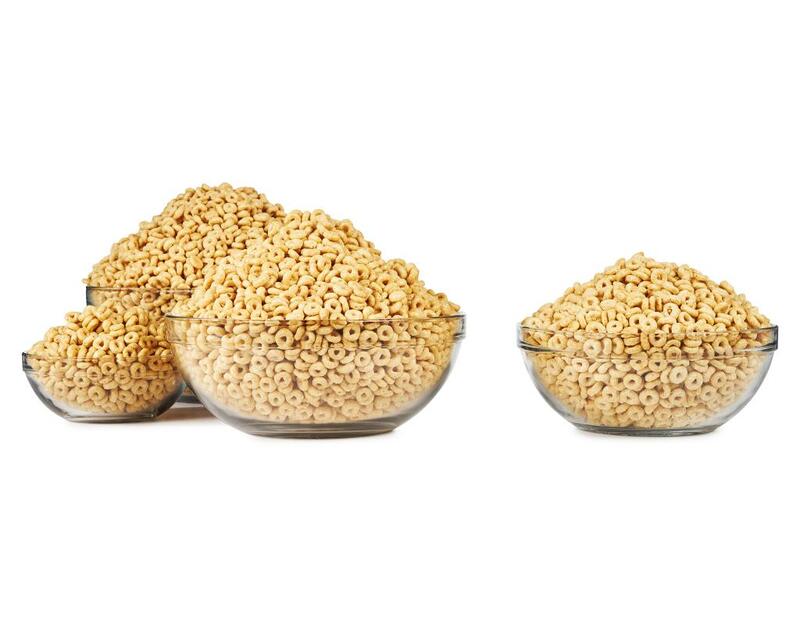 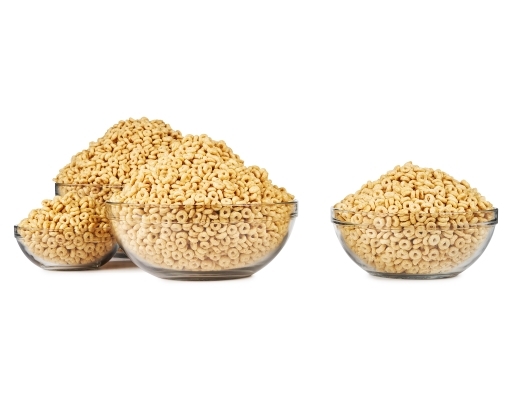 But did you know that each little "o" also contains soluble fiber from whole grain oats? 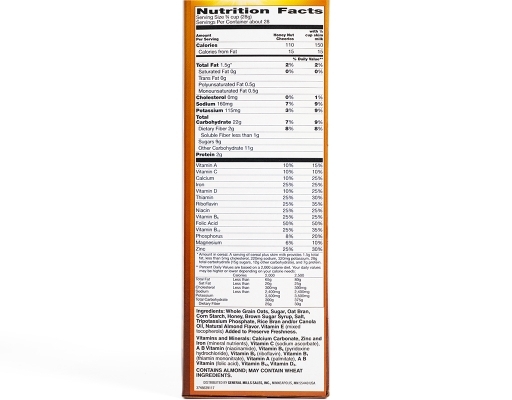 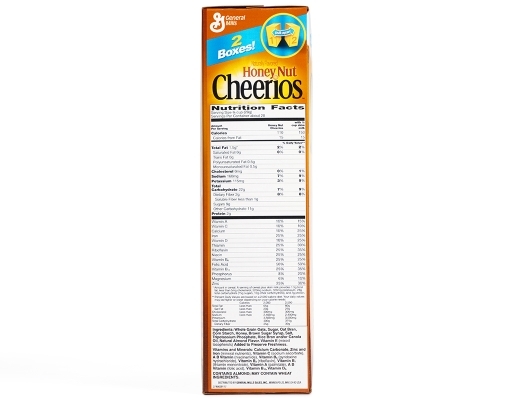 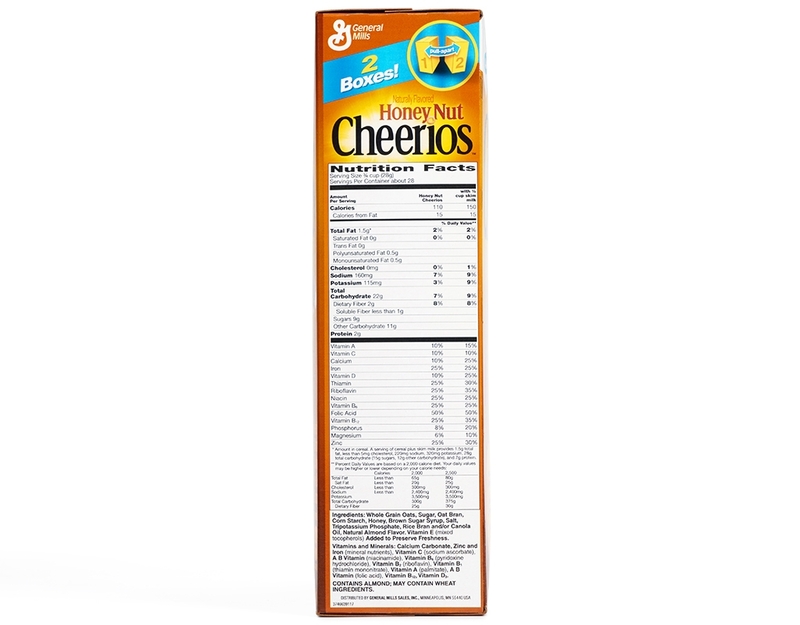 Made with whole grains and low in fat, Cheerios also provides 12 essential vitamins and minerals. Whole Grain Oats, Sugar, Oat Bran, Corn Starch, Honey, Brown Sugar Syrup, Salt, Tripotassium Phosphate, Rice Bran and/or Canola Oil, Natural Almond Flavor, Vitamin E (Mixed Tocopherols) Added To Preserve Freshness.